Air Designer CMS | Design Your Own Responsive Website Your completely customized website is just a few clicks away. Your completely customized website is just a few clicks away. 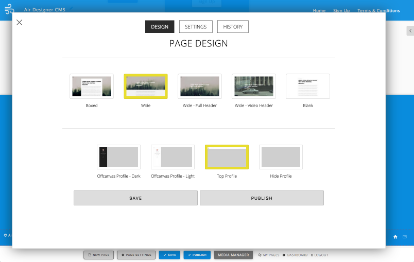 You have the power to quickly and easily change the page layout, profile placements, and widgets to come up with over 3.2 million possibilities for page designs. With just a few clicks and drags of your mouse, you can create a user-friendly and attractive website for your visitors to enjoy. Our seamless editing experience gives you a powerful “drag and drop” website builder; no coding required! For more adventurous types, you also have the flexibility to customize and configure your design widgets directly in the browser. Rock your own style; choose a classic boxed or full-width design. You may want to pick a minimalist white design so you can focus on your writing. Or go with an attention-grabbing video header to attract visitors. Whatever design choices you prefer, we have you covered! 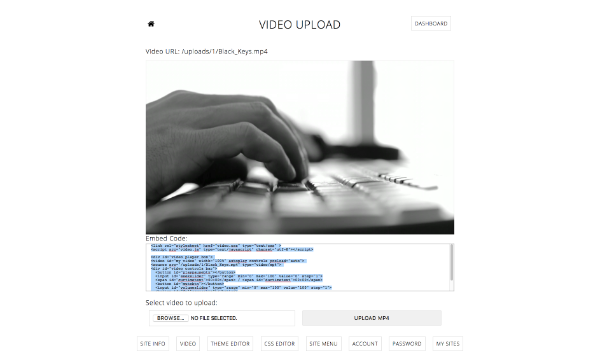 Air Designer CMS has everything you need to showcase video on your site. Use a predefined widget, or place an embed code anywhere you please. Upload. Copy. Paste. Done. It's that quick and simple. Make it your own. Pick from a wide array of colors and embed any font you’d like. 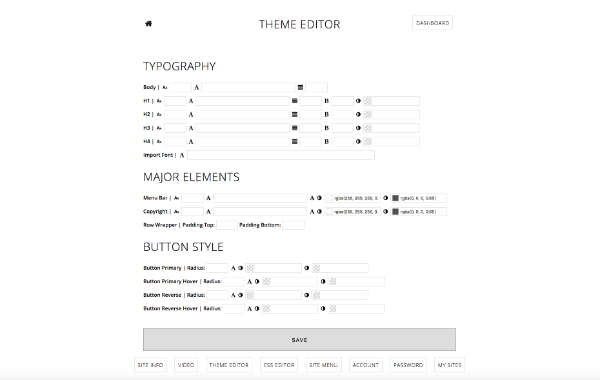 Master your Typography, Major Elements, and Button Styles in a matter of seconds. Need to accept payments for your business? 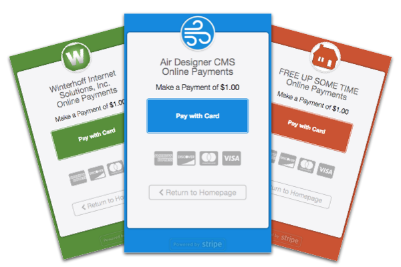 Get a free stripe.com account, and start taking credit cards today with no markup fees! Simple integration, just add your stripe keys and create pay now links. It works everywhere you can publish or send a link. Embed in emails, documents, or even text messages if you want to! Start building your content-driven site today! 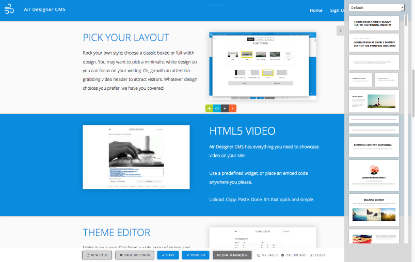 Try Air Designer CMS for free; upgrade at any time! Includes SSL, DNS Hosting, and Email w/Spam Filtering. Each additional domain you add includes SSL, DNS Hosting, and Email w/Spam Filtering. Get started with building your site today. No payment is required until you’re ready to subscribe. Then, subscribe with your billing link in your dashboard found on the My Sites page. Powerful benefits for your small business needs. © AirDesignerCMS.com - Winterhoff Internet Solutions, Inc. All Rights Reserved.